Does dropshipping still work in 2018? The short answer is: Yes, dropshipping still works in 2018. Just ask the tens of thousands of people around the world who are operating successful dropshipping businesses today. While the market has become more saturated over the past decade, dropshipping continues to be a viable business model. The increase in competition in the market does mean that dropshippers have to be smarter with regard to what they sell and how they promote and market their products and online stores. If you invest time in market research and choose the right the products, there’s no reason why dropshipping won’t work for you in 2018. If your product ticks those three boxes, you’re off to a good start. In terms of choosing which product you want to sell, the options are almost endless. However, the pursuit of the best dropshipping product involves a lot of research. Immerse yourself in the world of eCommerce. Browse online marketplaces like eBay, Amazon, and AliExpress. Become familiar with product trends. Look at how many sellers are active in each niche. Learn about profit margins, seller fees, and shipping costs. It’s all going to help you choose a good dropshipping product. If you already have ideas for a product to dropship, you can put them to the test with the criteria outlined below. The retail price is how much you can sell your product for. We recommend choosing products that can sell for between $15 and $200. That might sound like a wide gap, but this is considered the “sweet spot” for dropshipping products. Having an ‘affordable’ product means you’re more likely to sell high volumes. Selling high volumes gives you more opportunities to get customer feedback, which is important for credibility. Selling products for less than $15 makes it harder to make profits and requires you to sell a lot of stock to make your investment worthwhile. Products that retail for more than $200 are not considered ‘affordable’ and can be harder to sell at a sustainable rate. Selling products for more than $200 means refunds can really sting. The only time I would recommend going higher than $150 is if you’re able to sell products with a minimum advertised price (MAP) or minimum retail price (MRP). An MRP means you can’t price a product below a certain price set by the manufacturer. For example, Apple enforces a very strict MRP on their products. As you may have noticed, no retailer has a better deal on iPhones than any other. Note: MAP only refers to advertised pricing, meaning paid and organic promotion. Once a customer is in the (virtual) door, you’re able to give them a coupon or sell at a lower price as long as you’re not advertising it. MRP, on the other hand, refers to a strict price you can never go below, even in hidden deals. MRP products are great for dropshippers because they allow you to avoid competing on price and instead compete on value and added benefit to your customers. However, you should still be cautious about going past this price point if you’re a complete beginner. The profit margin for your dropship product should be at least 20-40%. Ideally, your profit margin will be higher as it’s not uncommon for sellers to mark up their retail price by 100% or more. If you have a dropship product that retails for $200, you might get away with a profit margin of 30% as you would be left with $60 profit per sale. However, if you were selling a product with a $20 retail tag, you’d want the profit margin to be higher. Remember that your margin has to take into account shipping costs, packaging, your marketing budget - all of the additional expenses that go into making a sale. So it’s much safer to choose a dropship product that you can sell for a high profit margin. The rule of thumb for the best dropshipping product is that it should be able to fit inside a shoe box. Any larger than that and shipping costs may become prohibitive. If you intend on using ePacket, a service that allows you to ship from China/Hong Kong to the United States and more than 30 other countries quickly, you will need to be more mindful of weight and size. It’s a popular shipping option for dropshippers. The weight limit for ePacket is 4.4lbs or 2kg. 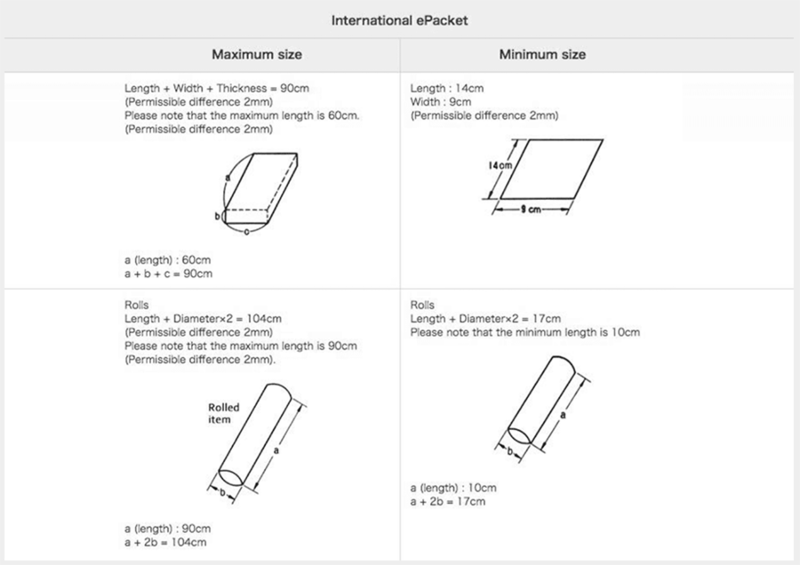 ePacket also has minimum and maximum size requirements. When you’re deciding what to dropship, look for products that are small and lightweight so you can be sure you won’t run into any shipping issues. A good dropship product has little that can go wrong with it. You want to avoid fiddly, fragile products that could easily break in transit as that will result in a deluge of returns and negative feedback. Electronics can often fall into this category, especially if you’re sourcing them from a supplier you’re not familiar with. It’s best to stick with sturdy, reliable products that are able to withstand the international shipping process. This is a criteria that those new to eCommerce and selling online often don’t consider: A great dropship product generates repeat business. That means a customer who buys your product will potentially buy it again - either when it runs out or needs renewing. In more recent years, subscription services have become popular, with businesses offering everything from men’s shavers to luxury food items to socks in curated packages that are delivered to customers monthly. This guarantees the seller a predictable monthly income. Health and beauty products also need to be purchased every time they run out. If you can convert a customer once, you might be able to secure repeat business by offering a product that is disposable, renewable, or provided as a subscription service. This is much more efficient than putting a lot of effort into making one sale only to never see or hear from that customer again. Choosing the right dropship product is only half the challenge. You also need to find a quality dropshipping supplier. This is particularly important for dropshipping as you’re potentially relying on the supplier to manufacture the product, have it in stock when an order comes in, and ship it to your customers in a timely manner. You ideally want a dropship product that is going to remain in production consistently. This means that your investment in quality photographs and sales copy for your product listings will reap benefits for longer. Products with high turnover (meaning they are discontinued or changed every year) aren’t a great choice because you’ll have to update your website and product listings more regularly, costing time and money. It’s almost inevitable that you’re going to make some mistakes when choosing a product to dropship. That’s ok, mistakes help us to learn and improve in the world of eCommerce. However, you can learn from other people’s mistakes. Here are a few common mistakes people make when choosing a product to dropship that you can avoid. A lot of people assume that selling big name brands can make a lot of money online as they are well known, in-demand, and expensive. However, the truth is that branded/designer products have very low profit margins, which makes them a bad option for dropshippers. Unless you have the buying power of a large retail store, then it’s best to stay away from big name brands. Stay with generic products, or consider private labelling. It can be tempting to sell knockoff or imitation products because, unfortunately, there’s a market for them. However, it’s a bad idea and you should well and truly steer clear of selling counterfeit products. Doing so could land you in serious legal trouble and jeopardise your dropshipping business from the outset. You should always be wary of suppliers who offer you so-called branded goods at prices that sound too good to be true. Chances are they’re knockoff versions. This is a common mistake made by beginner dropshippers. This is usually how it works: You think you’ve found a great product to sell online. Lots of other people are selling it on Amazon and eBay. It’s on all the top selling and hot product lists. It’s all over social media. You must be on to a winner, right? Wrong! It’s a mistake to sell products that are highly competitive. If you have to compete with 20 others who are selling the same product, it means your share of the market is going to be tiny and it may force you into price competition, which you want to avoid at all costs. So you’re serious about finding a great dropshipping product that’s going to set your eCommerce business up for success? You’ve come to the right place. Choosing a good dropshipping product is about research, planning, and strategy. Here we will show you how top sellers find hot products to sell online, using tried and true methods that have helped to launch many successful dropshipping businesses over the years. You want to harness those thoughts and write them down. Sometimes these ideas will come from problems in your life that a product might help to solve. Sometimes they come from interactions with others. The first step to choosing a great dropshipping product is to sit down and brainstorm all of the potential product ideas floating around in your mind. Even if they seem ridiculous at first, write them down. They might develop into viable dropshipping business ideas. You should also be familiar with what’s selling on popular online marketplaces like Amazon, eBay, Etsy, and AliExpress, as this will give you an idea of what’s trending. Yes, I’m recommending our own service because I genuinely believe it’s one of the most valuable eCommerce market research tools available. How much competition there is for each product, based on how many people are selling it on Amazon and eBay. The average retail price each product is selling for online. The sell-rate of each product. A list of trusted suppliers of the product that you can contact immediately. This gives you an in-depth analysis of a product at a glance. It helps you to validate or eliminate your product ideas using the latest data from the world’s largest online marketplaces. Having instant access to verified suppliers also saves you the time and stress it takes to find suppliers on your own. Social shopping website are online marketplaces curated by users and tastemakers. They’re useful as the products are chosen by online shoppers, so they can give you an idea of what’s popular and what’s trending before it becomes mainstream. These websites save you the time it takes to trawl through thousands of products on suppliers’ websites, or on eBay and Amazon and gives you a list of curated items based on your personal interests or what’s trending in the market. It’s a good idea to follow a few of these websites to stay up with the play as they might help you come up with good dropshipping product ideas. When you’re trying to decide what to dropship, it helps to learn from the best in the business. Look at successful eCommerce stores and see what they’re selling. Take note of how they layout their listings, the product photography and sales copy. It’s all inspiration that can help you come up with product ideas. It also helps you to visualize how your online store might look and feel. Try and look at online stores for big brands and small dropshipping outlets so you can see the different approaches businesses take. SaleHoo Labs, mentioned above, does this for you. However, if you choose to go it alone, you will need to conduct some market research. By now, you should have a few dropshipping product ideas from brainstorming and checking out social shopping websites and eCommerce stores. Now you need to take your list of potential dropshipping products and conduct some market research. The main things you need to know are: How much is the product selling for online, and how much competition is there in the market? The easiest way to do this is by searching for each of your product ideas on eBay and Amazon. Make a note of how much your product and similar products are selling for. Prices might vary a lot. Does the retail price land in the sweet spot of $15 to $200? You won’t know what your potential profit margins are until you start contacting suppliers, but you could get an idea by looking at similar products on websites like Alibaba and AliExpress, as this is where a lot of China-based suppliers list their products. This process involves researching the number of sellers of your product or similar products online. This is important because you don’t want to be selling in a saturated market, especially when you’re starting out. Start by searching for your product on eBay and Amazon and simply scroll through the listings taking note of the different sellers. On Amazon, you can see a list of sellers on the left of the page (see image above). If you’re up against 15 or more well-established sellers, you might want to consider a different product. TIP: If your market appears to be highly competitive but you think you can differentiate your product that sets it apart from most of the others being sold online, then you may still be able to proceed with that product and carve out a segment of the market with your unique offering. This is the exciting part. If you still have a dropshipping product idea that has made it through the above process and seems like a winner, you should do a little dance, high five the person closest to you, and start thinking about the next steps. Now you want to take your great dropshipping product ideas and look for suppliers who can provide you with samples so that you can test the quality and suitability of the product, as well as the efficiency and reliability of the supplier. Congratulations, you are now well on the way to launching a dropshipping business. And if you already have a dropshipping business, hopefully this process has helped you to add new products to your online store. If you are still struggling to think of a great dropshipping product idea, here’s a list of 20 dropshipping business ideas for 2018. All of these ideas have been put to the test in the SaleHoo Market Research Lab and analyzed in Google Trends. We’ve even saved you the trouble of searching for suppliers by providing suppliers for each product in the list.